The pace of mortgage arrears formation is continuing to decrease at Bank of Ireland. In an interim management statement, the bank said that 86% of those customers whose mortgages have been restructured to facilitate lower levels of repayment are meeting the revised terms. It added that it still expects its impairment charges to reduce from the elevated levels seen last year. But it added that the pace of reduction is dependent on the performance of its Irish residential mortgage book and of commercial property markets. It noted that while the Irish economy has begun to stabilise, challenging conditions remain. Bank of Ireland said its net interest margin is being positively impacted by the reduction in cost of deposits and other funding. It also said that its customer deposits rose to €74 billion at the end of November from €72 billion in June, despite a reduction in interest rates. 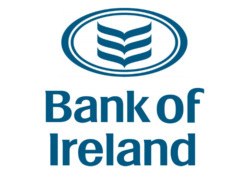 Since June, the bank has transferred loan assets amounting to €2.8 billion to Bank of Ireland UK. It said that has facilitated greater balance sheet efficiencies. It also reported further progress on disengaging from the Eligible Liabilities Guarantee Scheme. Total liabilities covered by the ELG fell from €36 billion at the end of June to less than €28 billion by November. ”We have prepared for and are ready for the expiry of the ELG,” the bank stated. The scheme was brought in after the collapse of Lehman Brothers Holdings in 2008. Bank of Ireland said its operating costs remain under ”tight control” with its cost reduction initiatives delivering sustainable cost savings. It said that staff numbers are reducing in line with its expectations. ”We expect that the restructuring provision of €66m taken at June 2012 will be fully utilised by year-end,” the bank added.